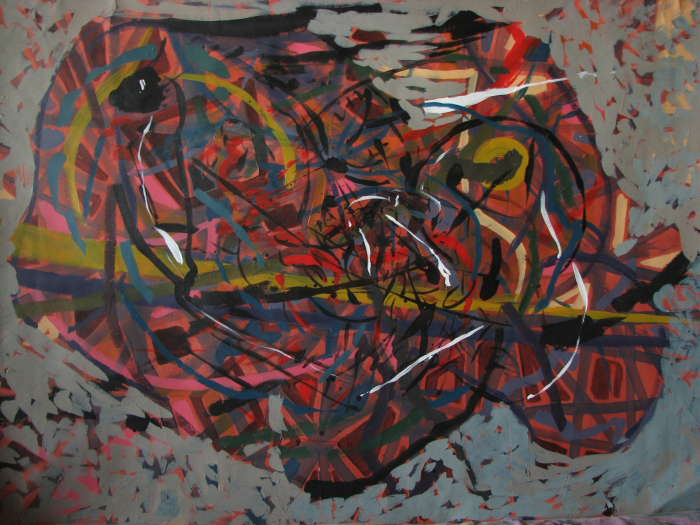 Categories: 2002-2011, Acrylic, AVAILABLE ARTWORKS, Painting | Tags: acrylic, Bucharest, exhibition, frame, fugue, lines, National Opera, paper, proposal | Permalink. A network of light. You can try to remake the reverse route, detaching each line separately. You’ll never succeed, because you’re already in their midst. 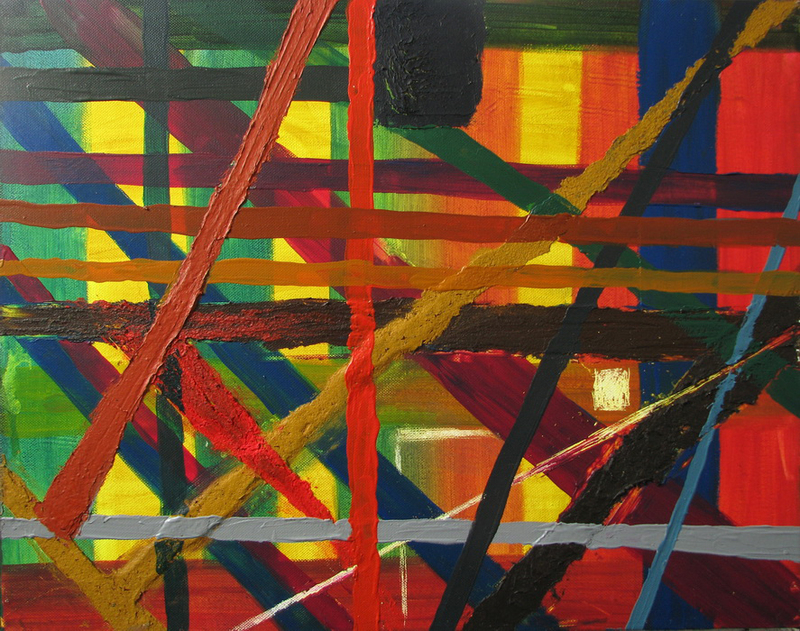 Categories: 2002-2011, Acrylic, AVAILABLE ARTWORKS, Painting | Tags: artwork, light, lines, midst, network, prisoner, reverse, route, separate, success | Permalink. the artwork “Chromatic Pollution” is a mix of lines, their combination being the result both of spontaneity and that of long searches. Apparently, the work is plane, but it is actually a kind of relief, a fret obtained by patching two foam boards. I perceive “ChromaticPollution” to be like a “measurer” of electrical energy that flows in real time, revolving around the Pentagon shape that it mimics. 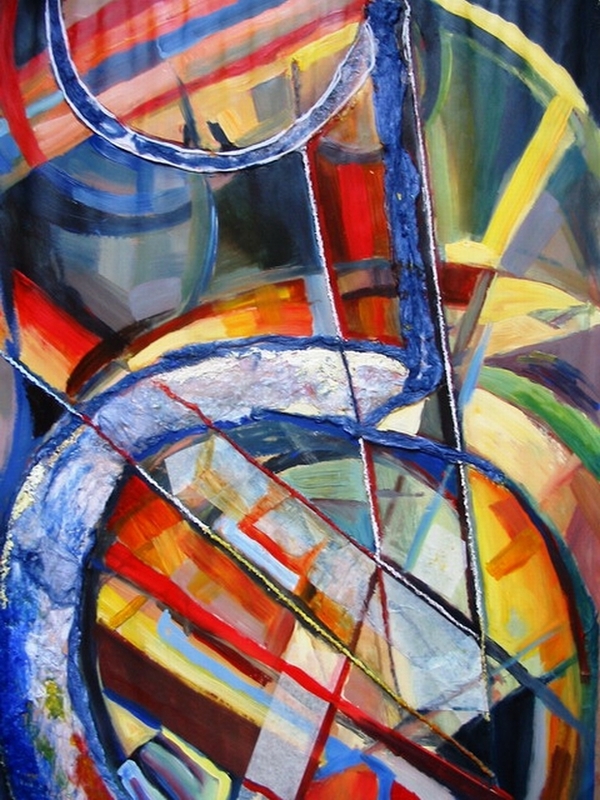 Categories: 2002-2011, AVAILABLE ARTWORKS, Mixed Technique, Painting | Tags: Abstract, abstract contemporary art, acrylic, Chromatic, electric, energy, foam board, lines, maia oprea, measure, mix, pentagon, plane, pollution, relief, shape, spontaneous | Permalink.